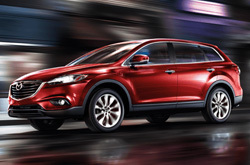 The latest 2014 Mazda CX-9 is elegant, spacious and roaring with power. Many of its signature components have been carried over for the new year, but its Grand Touring and Touring trim levels have inherited a new rear-cross traffic alert system, increasing safety for all in-car occupants. Complete with a lavish interior design, significant passenger room and a heavy duty V-6 engine, the CX-9 is a great addition to any household. 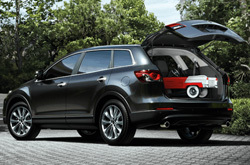 The SUV also provides seating for up to seven passengers, making it a top choice for buyers with growing families. Keep reading to learn more about the 2014 Mazda CX-9 in Houston, then continue down for extra information on its amenities. The all-new Mazda CX-9 is large and spacious, providing ample leg and headroom for passengers in the first- and second-row seats. The third row even provides generous seating for adults, but if comfort is what you're looking for, the second row is the way to go - it features reclining seats! When both the second and third rows are folded down, the SUV also sports 101 cubic feet of cargo space, which is perfect for hauling furniture or large luggage. In addition to its space advantages, the 2014 Mazda CX-9 in Houston features luxurious soft-touch materials within the cabin and a 5.8-inch touchscreen display, noted in several 2014 Mazda CX-9 reviews. At the heart of the CX-9 is its 3.7L V-6 engine. Outputting 273 horsepower and 270 lb.-ft. of torque, the engine comes matched with a six-speed automatic transmission with manual shift control. A highlight in Edmunds in 2014 Mazda CX-9 review, the powertrain is available with front-wheel or all-wheel drive and also supports a 3,500 towing capacity. The AWD model can accelerate from zero to 60 mph in 8.5 seconds, while the front-wheel configuration achieves the same acceleration in 7.5 seconds - an above-average time for an SUV its size. 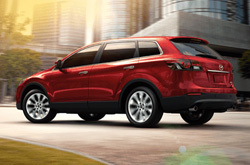 The 2014 Ford Edge, Chevy Traverse and the Dodge Durango are surpassed by the 2014 CX-9 in a variety areas. Just a few of the qualities that shoppers in Texas will be smitten with are the CX-9's sharp design and low cost. 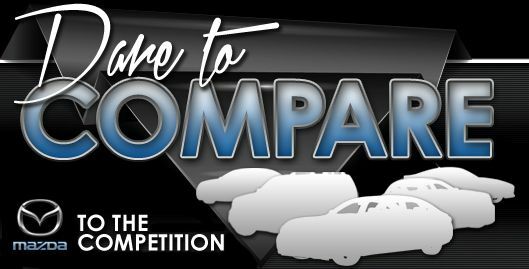 When comparing its price to the opposition you will undoubtedly see that Houston Mazda customers select it because it's a truly amazing value. Find even more info about its specs; see our quick-facts list for the CX-9 - bullets under this paragraph. Make the search for your next car less time consuming with Joe Myers Mazda's reviews, like the 2014 CX-9 overview above, as well as other Mazda reviews in our gallery. Veteran automotive writers put in hours and hours of research to write the reviews on our site. Each passage is crammed with accessible material, including info about safety features and more - everything you need to make an educated purchasing decision. Please visit our Mazda review and compare gallery if you feel the CX-9 is not a fit for you; there you&ll learn about Joe Myers Mazda's entire lineup.